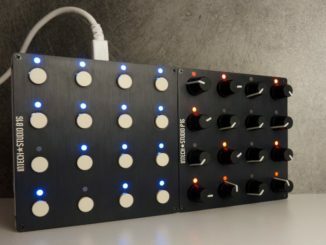 News: Nozoïd Nozori Multifunction Eurorack Module! 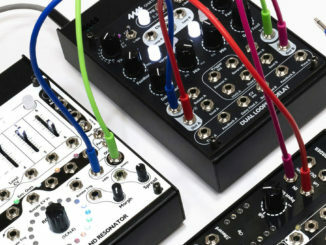 HomeNewsHardwareEurorackNozori Is A New Multifunction Eurorack Module From France! VCO's, VCF's, Function Generators & Audio Effects In One Eurorack Module! 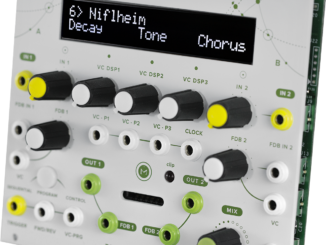 The idea behind Eurorack is put together its own Synthesizer with the function you like, means many modules with different features. But there are also multifunction modules on the market that includes many of them in one single module. 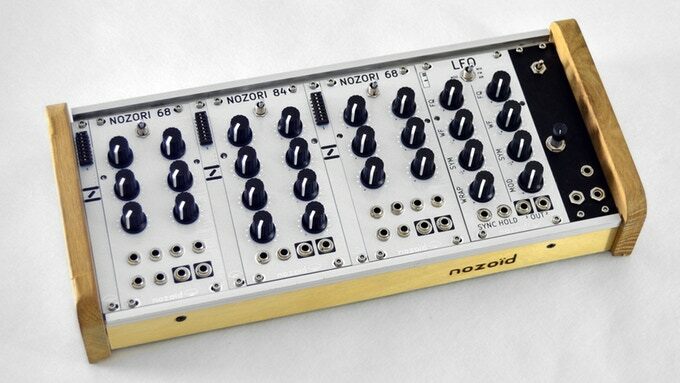 The latest product of Nozoïd, developer of the MMO-3 Synthesizer (review) shares the same concept. A very interesting development in my opinion. I’m a friend of such multifunction modules because they can do a lot in one single module. 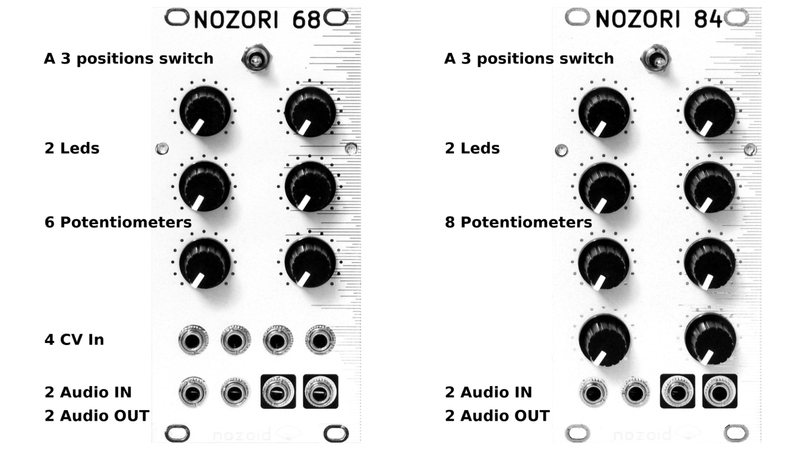 Encouraged by public success of the OCS-2 and MMO-3, Nozoïd dust off eurorack systems with it’s new concept : nozori. This platform allow to easily switch from one module to another, with the same hardware. Changing modules is as simple as changing jumpers position! The nozori concept consist of using the same hardware for multiple modules. This hardware is based on a powerful digital core to allow huge versatility. Potentiometers, inputs or outputs can adapt to many module designs: from standard modules like VCO, VCF, LFO to outstanding functionality never seen before. This solve two problems of the eurorack world: the price and the size of a system. 2 hardwares are available : the Nozori 68 with 6 potentiometers, 4 CV in, 2 audio IN and 2 audio OUT, and the Nozori 84 with 8 potentiometers, 2 audio IN and 2 audio OUT. On the website, you can find sound demos for every module. 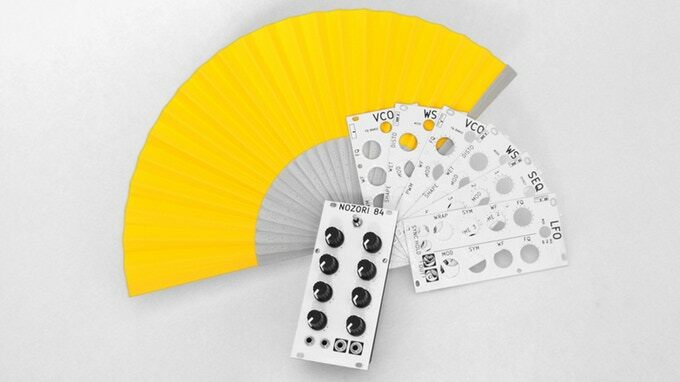 Nozori-68: VCO parametric, VCO mod, VCO waveshaper, VCO loop, noise, VCF parametric, VCF multimode, VCA/Pan, bit-crush, pitch shift, delay, granulator, sin mod, waveshaper, karplus-strong, EQ, dual LFO, ADSR/VCA, random loop, cv recorder. On the kickstarter campaign, the early bird can be bought for 219€. After the kitckstarter campaign, a Nozori platform will cost 249€ in Europe (including taxes), about 320$ excluding taxes outside Europe.